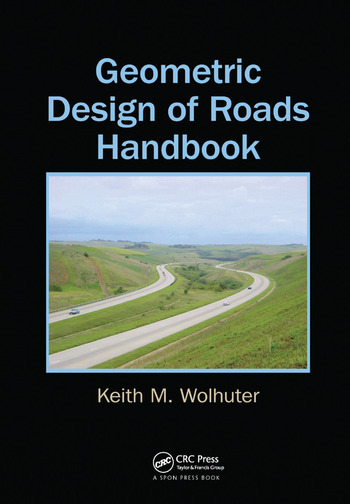 The Geometric Design of Roads Handbook covers the design of the visible elements of the road—its horizontal and vertical alignments, the cross-section, intersections, and interchanges. Good practice allows the smooth and safe flow of traffic as well as easy maintenance. Geometric design is covered in depth. The book also addresses the underpinning disciplines of statistics, traffic flow theory, economic and utility analysis, systems analysis, hydraulics and drainage, capacity analysis, coordinate calculation, environmental issues, and public transport. A key principle is recognizing what the driver wishes to do rather than what the vehicle can do. The book takes a human factors approach to design, drawing on the concept of the "self-explaining road." It also emphasizes the need for consistency of design and shows how this can be quantified, and sets out the issues of the design domain context, the extended design domain concept, and the design exception. The book is not simply an engineering manual, but properly explores context-sensitive design. Changes in geometric design over the last few years have been dramatic and far-reaching and this is the first book to draw these together into a practical guide which presents a proper and overriding philosophy of design for road and highway designers, and students. A practical guide for graduate students taking geometric design, traffic operations/capacity analysis, and public transport, the Geometric Design of Roads Handbook introduces a novel approach that addresses the human aspect in the design process and incorporates relevant concepts that can help readers create and implement safe and efficient designs. Keith M. Wolhuter, PrEng, BSc, BEng, F Eng, MSAICE, graduated from the University of Stellenbosch in South Africa and joined the Cape Provincial Roads Department in January 1960. After his activity in the field, Mr. Wolhuter joined the Geometric Design Programme, where he ultimately became the head of the Interchange Design Section. He subsequently joined the consultancy, BA Kantey and Partners as a senior partner. Thereafter he joined the Division of Road and Transport of the Council for Scientific and Industrial Research (CSIR). He also served as the Specialist Transport Consultant to the South African National Treasury and for many years served on TRGB Committee A2A02.